When the boat pulls up at the island’s jetty we’re all talking about the water. It’s bright turquoise, crystal clear and the sand below is white. We’re not in the tropics. 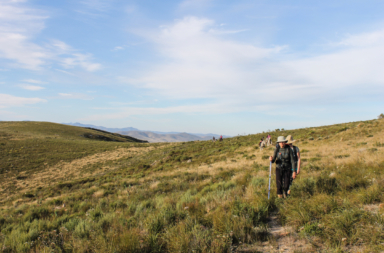 We’ve sped 10 km across the ocean from Yzerfontein on the West Coast, 87 km from Cape Town, to Dassen Island. 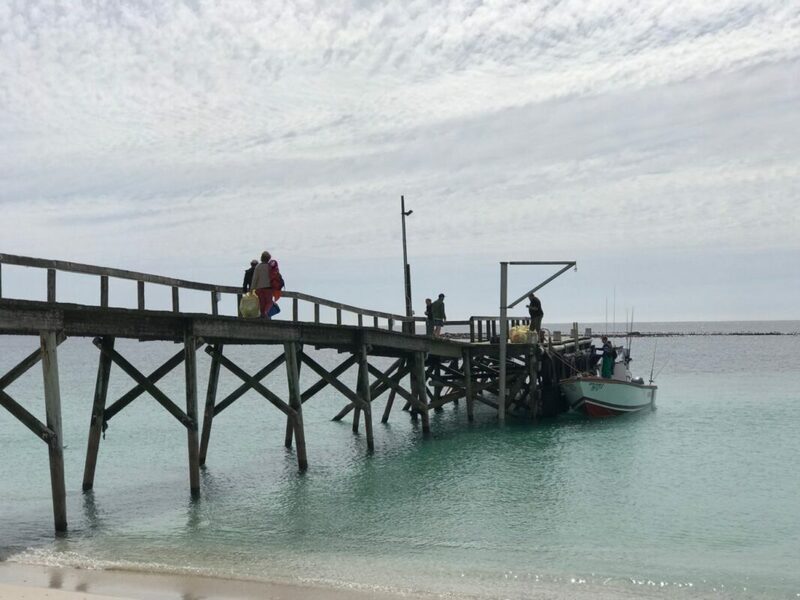 Conservationist, Marlene van Onselen, who has lived alone on the Cape Nature reserve for six and half years, meets us on the jetty. We’ve got bags for litter collection, clipboards for recording the data and snorkeling gear. Once the boat is offloaded van Onselen leads us up to the reception area where we sign a register and find a sick penguin. She will send it back with us to SANCOB, a seabird rescue centre, when we leave in the afternoon. For this cleanup, we use the Dirty Dozen methodology developed by Peter Ryan, a professor at the university of Cape Town. The Beach Co-op records Dirty Dozen data for Ryan. 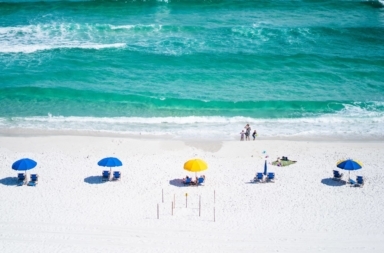 From his 20 years of research he selected the 12 most commonly found items along our coastline. 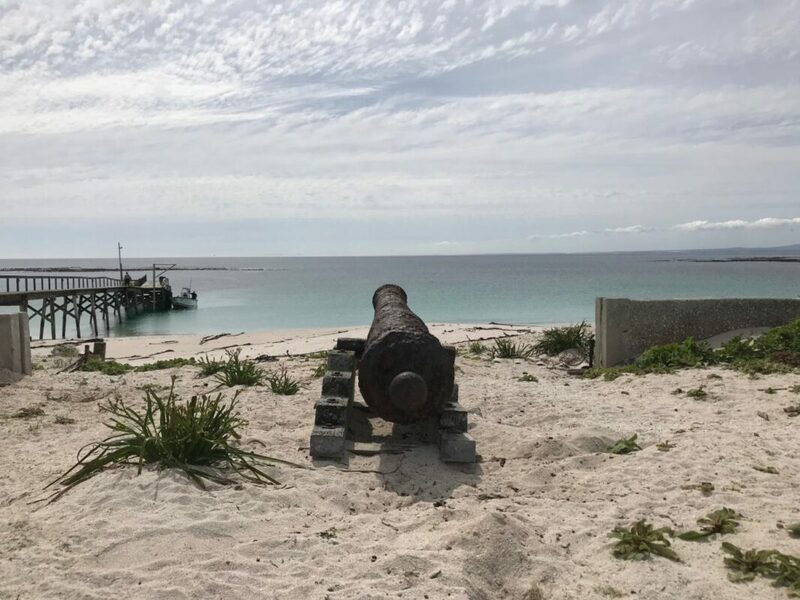 Every five years Ryan’s research unit performs beach cleanup surveys at specific sites along our coastline, with the next five year survey coming up in two years time. Omardien says that by getting citizens involved in collecting data it allows them to reflect on how much plastic we use and discard. 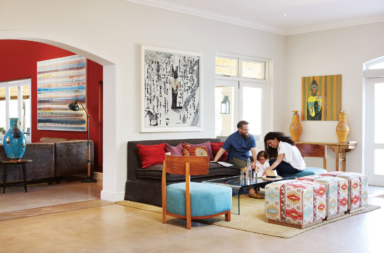 “Hopefully it is the starting point for improved consumer behaviour,” she says. From the jetty, we walk a couple of kilometres to the 125-year old lighthouse on the other side of the island. 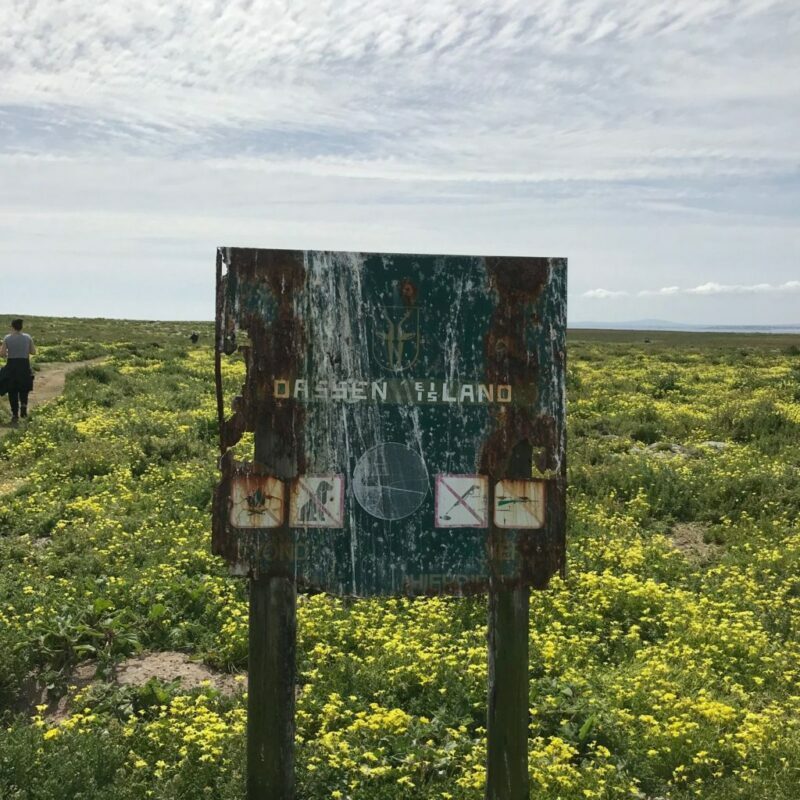 It’s flower season along the West Coast and the short walk takes us through fields of arum lilies, sout slaai and flowering yellow suurtjies. The birdsound is deafening on the 230 hectare island. 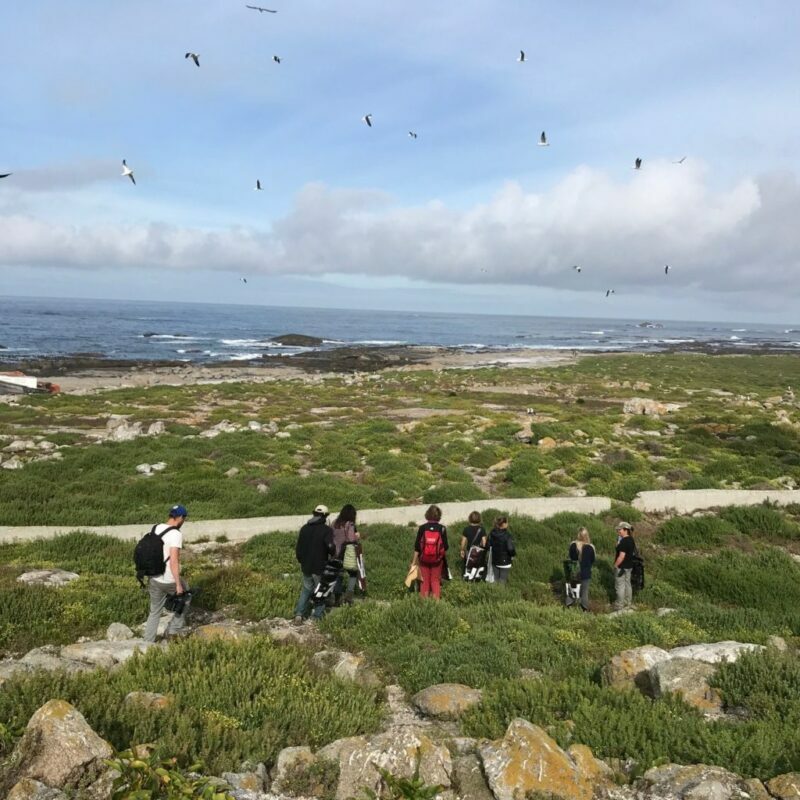 The protected island is home to endangered African penguin, great white pelican, ibis, kelp gulls, four marine cormorant species… It’s van Onselen’s job to monitor and count the birds and their chicks. Tortoises crawl slowly along the paths we walk, while rabbits hop through vegetation on this flat, low-lying outcrop of land. The island is named after the dassies which were found here by European sailers centuries ago. After they hunted all the dassies, European rabbits were introduced to the island for hungry sailors. Judging by the numbers, they have clearly adapted well to their new habitat. On the other hand, pengiuns have suffered. Initially they were hunted as food, fuel for boilers and for their fat, but the main attraction were their eggs. A low wall was built along the perimeter of the island to keep the penguins laying eggs on the shoreline to facilitate egg collection. Harvesting of eggs was terminated in 1967, but the penguin population has never recovered. Now they suffer from lack of fish to eat – their foodstock as migrated elsewhere along the coast. At the lighthouse we divide up into two groups for the cleanup. Each group has one scribe who records the items we collect on the shore. As one would expect on an island inhabited by one human, it looks pristine. But when we scratch through kelp and sift through the shells we find the litter Omardien had expected to find here. In less than two hours, we fill 11 big rubbish bags. 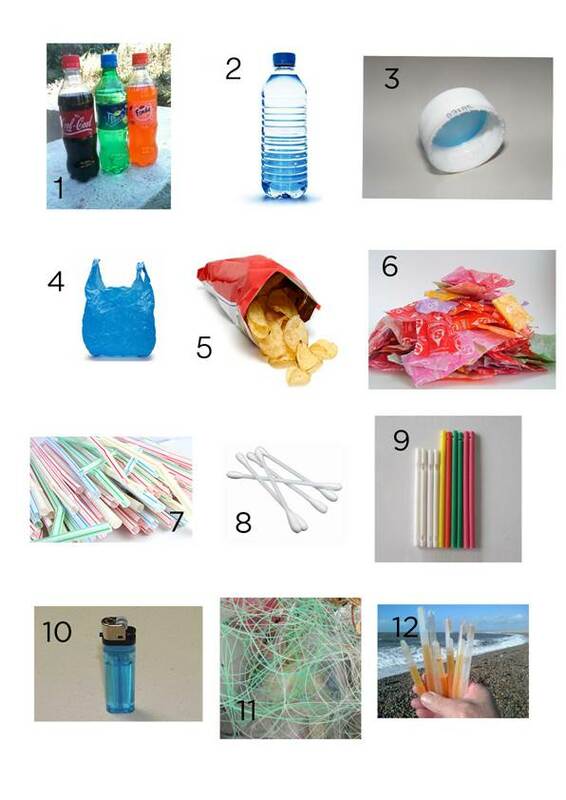 The top three Dirty Dozen items we find are 213 cooldrink lids, 183 cooldrink bottles and145 water bottles. Kieser thinks that most important role of these cleanups is raising awareness. “Humans are tactile and believe something far more if they see it for themselves.” He describes himsel as a “do-er”. He says, “I just like to get material away from the shoreline before the wind or tide takes it back into the sea. Kieser also believes that cleanups could influence politicians. “They are always looking for what their constituency wants. If they see a lot of people taking part in clean-ups, they realise that littering, poor waste management, poor design of packaging and single use plastics needs more attention,” he says. After our clean up we get into the turquoise water to snorkel through the kelp and other seaweeds. Dotted across the seabed and amongst the greens of sea weed are bright red sea anemones. It might not be a tropical island, but we’re all pretty convinced this is a piece of heaven on earth. 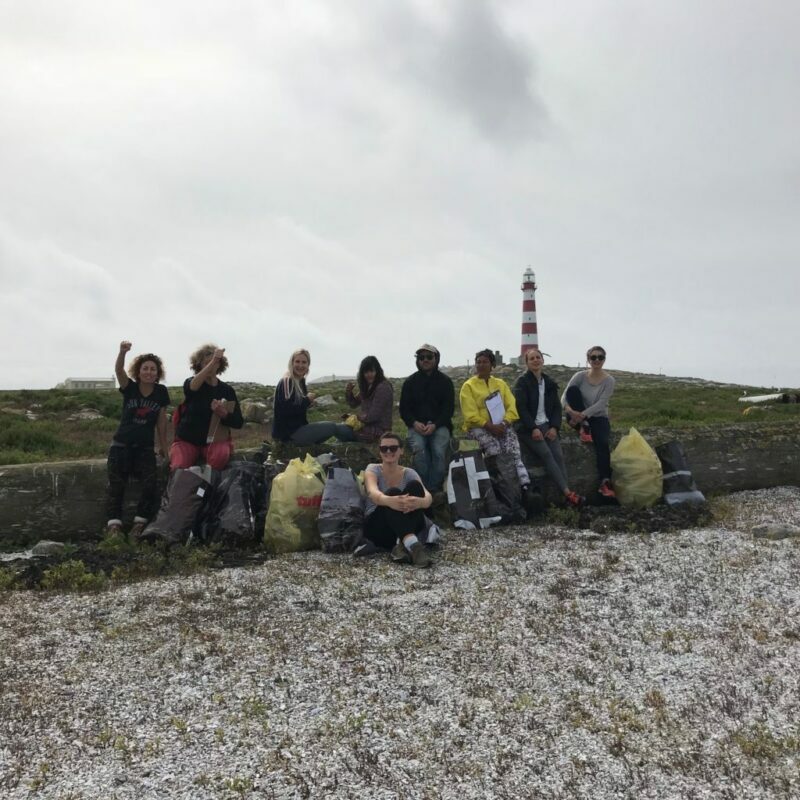 These are all the Dirty Dozen items 10 people (nine visitors and the conservationist, Marlene van Onselen) found in under two hours on less than a kilometre of the shoreline on Dassen Island.